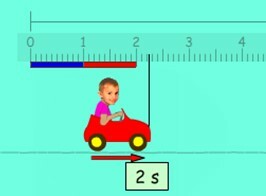 Physics apps, animations and games let you learn physics and school physical science while playing. 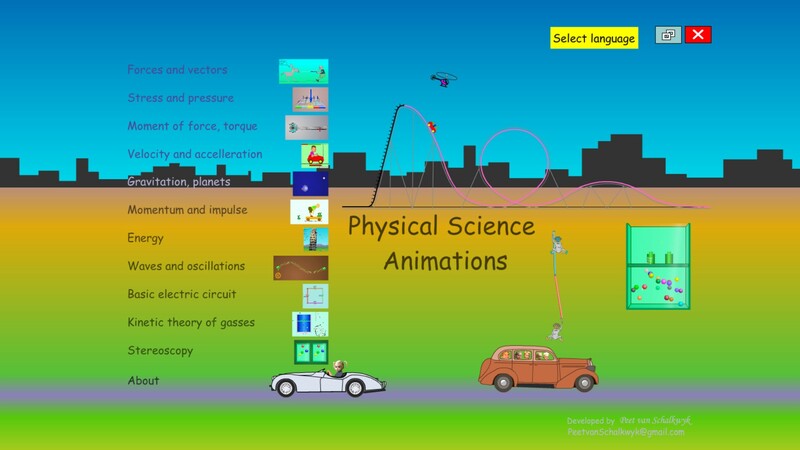 These interactive physics and science games make it easy to understand dynamic concepts. Topics are: forces, vectors, stress, pressure, moment of force, torque, speed, velocity, acceleration, gravitation, sun, earth, moon, satellite, momentum, impulse, energy, waves, oscillations, electric circuit, kinetic theory of gasses, stereoscopic images. For iPad and iPhone, click on Download on the App Store. Learn about push and pull forces. 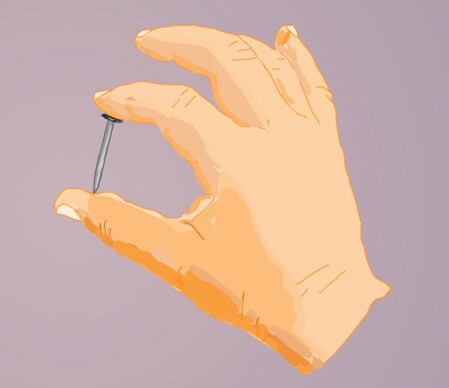 Do experiments with virtual objects. Do experiments with toy cars. Learn about velocity and acceleration. Observe the effects what gravity has on objects, planets and stars with Physics games. Gravity keeps the planets in their orbits around the sun. Gravity "glues" us to the surface or the earth. Gravity confines the atmosphere to a layer around the earth. 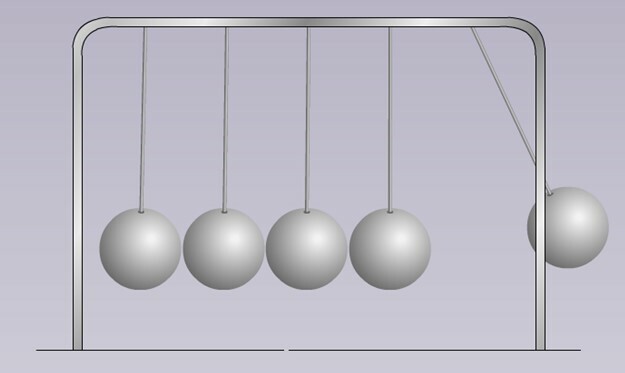 Play with colliding vehicles, a cannon, Newton's cradle etc. Learn about all the kinds of energy we use. Sound, light and waves in water all propagate as a result of some kind of oscillation. This page is about waves and oscillations in various mediums. This animation is about the kinetic theory of gasses. 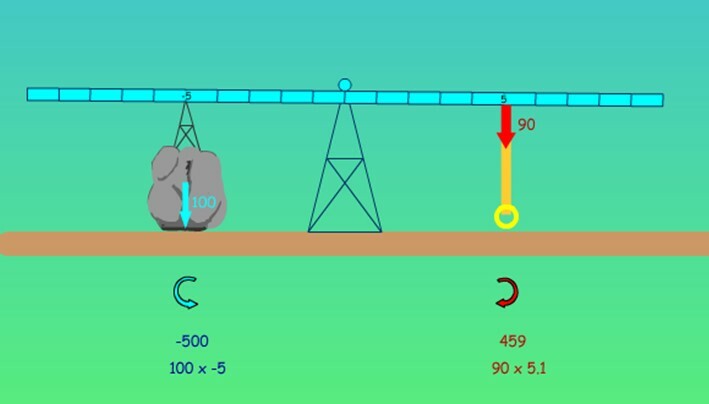 Students will learn about direct current and alternating current with this interactive Flash animation. 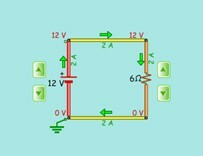 Lecturers and teachers can use them in their lectures. To buy Physical Science Animations for Windows PC on the left, read instructions, then Download Physical science - full version for Windows PC. 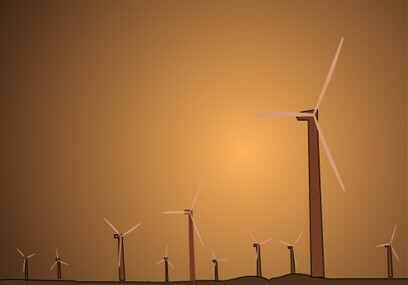 Please support us so that we can make these math and science animations available to kids in the world as cheap as possible.